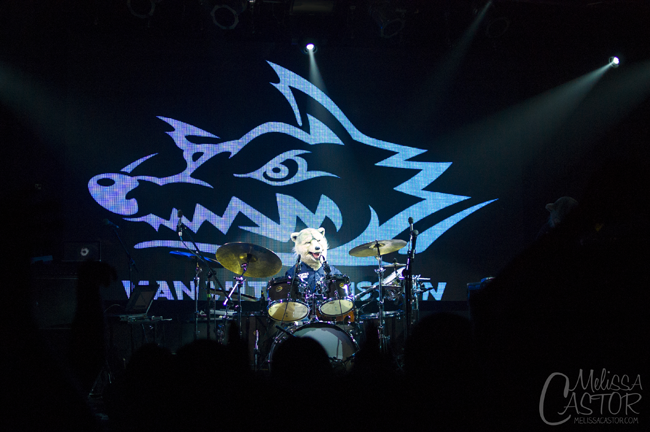 MAN WITH A MISSION (MWAM) seemed to actually be on a mission, and they brought it to Highline Ballroom in New York City on December 2nd. As for the“MAN” part, well, there is some question. 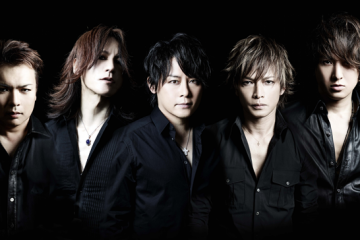 Are they human? Are they wolves? 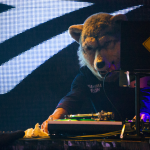 MWAM have human bodies, but wolf heads. Each head is unique to the member wearing it — just as people look different, so do wolves! Don’t worry though, they’re friendly and just want to play you some music and have a good time. 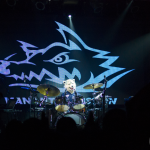 The wolf pack of MWAM brought out an impressive audience for a Monday night in NYC, a crowd composed of all ages and nationalities. 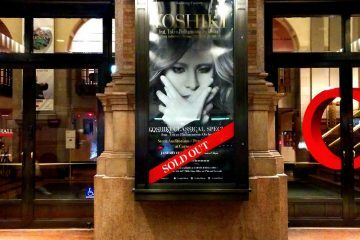 The line was growing steadily outside before doors even opened as fans impatiently awaited their only chance to see the band on the east coast this year. 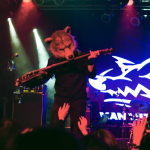 Throughout the evening, the band continuously interacted with fans, asking them to wave their arms back and forth for multiple songs, or giving out high fives to those in front, even letting a few fans pet their wolf heads on the nose. MWAM gave their MC’s in English to New York City audience, a nice way to connect to their overseas fans. 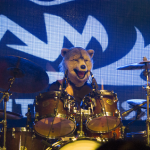 If you had never seen MWAM before, never heard of them or saw them, you couldn’t even begin to guess what to expect. 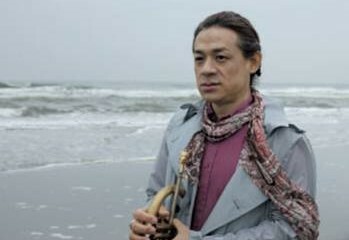 The result, long time fan or just curious by-passer, was fun and liveliness. Their set was only about an hour long, but it was an hour spent in good spirits, cheering, and maybe not knowing what exactly you were seeing on stage (wolves playing instruments and singing? ), but surely not something easily forgotten. 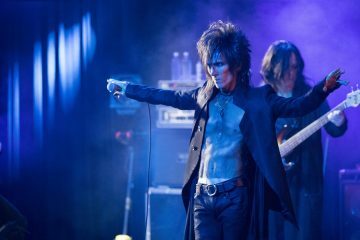 After the show, the band was kind enough to stick around for a meet and greet, willing to sign CDs or other merchandise bought at their table, and even take photos with fans. Hey, what better way to spent a Monday night then with some old friends and new wolf friends?